When I first read Frank’s post on the Future of Content Management debate in Amsterdam, it made me want to buy a plane ticket for just this one session. I’ve always liked these kinds of sessions – keynotes with thought leaders, the analyst panel, the “One Minute with a Vendor” panel, etc. I find them spontaneous, “off-the–cuff”, surprising, and real. They let actual users with bonafide concerns put competing vendors and analysts “in the hot seat” — in a forum without notes, prepared remarks or static research documents. It’s a real-time google of some of the most interesting minds in the business. Regarding the keynote panel questions, here are some points to ponder IMO. Comment on this post or Frank’s original to submit your questions directly to the Amsterdam keynote panel or vendor panel. The portal market is not dead unless you’re an analyst. The “portal” – sans the focus on vendor revenues that often define the “market” – is a concept, a strategy, a (dare I say it?) KM goal – that seeks to improve the productivity of a workgroup or enterprise through a common environment that promotes collaboration, communication, and efficiency within disparate business processes. My corporate interactions over the last year prove indisputably that this “concept” is pervasive throughout business drivers for technology purchases. So, do predictions of portal market death represent a fine example of analyst-vendor-customer disconnect? Does the SOA momentum hint at a portal market re-birth under a different label? Successes from “last pure-play standing” vendor Plumtree suggest that death is premature. As I’ve said before, market competition between best of breed versus enterprise suite is alive and well. For an opinion from the vendor trenches, a CMSWatch Point-Counterpoint interview is a good read. In terms of the keynote panel’s discussion on “what is a content platform” and Longhorn impact, what about Tiger? It’s been a lot of fun to monitor the headlines over this question. Beyond that amusement, the serious focus on content and search from the OS players is certainly good fodder for the content platform discussion. 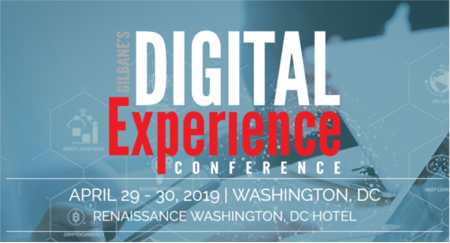 With less than a week to go before the conference, I’m still tempted to buy a plane ticket – but that tax refund is long gone. I’ll just have to rely on live-blogging. “Technology Directions: Driving DITA Adoption in Europe”, has been added to next week’s conference in Amsterdam on Friday, May 27, 8 – 10:00 a.m. IBM, Idiom and Nokia will present on DITA and its practical applications, while leading an open discussion focused specifically on the adoption of DITA-based publishing initiatives in Europe through establishing regular meetings, networking opportunities and education events. Panelists from Thursday’s presentation will be on hand, with the addition of Indi Leipa, senior information architect, Nokia. The Gilbane Content Management Conference in Amsterdam (co-located with XTech 2005) is only a week and a half away. See the conference program. The call for papers deadline for Gilbane Boston is Monday May 16th. Proposal guidelines are here. Alexandria, VA and Cambridge, MA, May 12, 2005. XTech 2005 (formerly XML Europe) and the Gilbane Conference on Content Management today announced four new industry sponsors for their conferences, being held concurrently 24-27 May, 2005, at the Amsterdam RAI Centre, Amsterdam, Netherlands. Microsoft (NASDAQ: MSFT) joins Adobe Systems, Inc. (NASDAQ: ADBE) and Blast Radius at the Gold Sponsorship level. At the Silver Sponsorship level, DocSoft, Idiom and Solace Systems have been added to a list of sponsors that includes Antenna House, Astoria Software, AuthorIT, Exegenix, Fast Search & Transfer™, Inc., Immediacy, O’Reilly, Percussion Software, Quark, Quasar Technology, Syncro Soft, and Vamosa. Justsystem Corporation is the Diamond Sponsor of both events. For information on presentations, sponsorships, exhibiting and other marketing opportunities at XTech 2005, visit http://www.xtech-conference.org. For general information and to register to attend, visit http://www.xtech-conference.org/2005/registration.asp. IDEAlliance (International Digital Enterprise Alliance) is a not-for-profit membership organization. Its mission is to advance user-driven, cross-industry solutions for all publishing and content-related processes by developing standards, fostering business alliances, and identifying best practices. Founded in 1966 as the Graphic Communications Association, IDEAlliance has been a leader in information technology – developing Document Markup Metalanguage (GENCODE), sponsoring the Standard Generalized Markup Language (SGML), and fostering eXtensible Markup Language (XML). IDEAlliance builds on these languages to create specifications that enhance efficiency and speed information in all aspects of publishing and content-related processes. Learn more about IDEAlliance at www.idealliance.org.